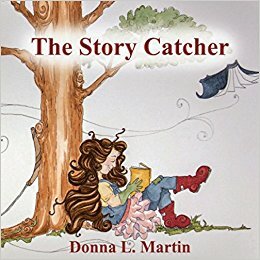 AN INDIE AUTHOR’S JOURNEY: Who Likes FREEBIES? With just three weeks before the print release of LUNADAR: Homeward Bound, my FREE giveaways are really ramping up and YOU get all the goodies! I’m currently in the middle of my LUNADAR Pay It Forward giveaway. It’s open to all educators in the continental US serving middle through high school, as well as any school librarian who would like a FREE ebook copy of my young adult fantasy novel in exchange for leaving an honest Amazon review by Friday, November 2nd. Anyone leaving a review by the deadline will be entered into a FREE giveaway for a chance to win one of five autographed copies of my book and maybe even a FREE author visit to their school! TODAY also starts my TWELVE WEEKS OF LUNADAR. Based on the Twelve Days of Christmas, each week there will be chances for anyone to win the weekly prize. Just click on the picture of the gifts to the right of this post and choose how you want to enter. The more ways you enter, the more chances to win one of the weekly prizes. By the twelfth week, just before Christmas, ALL entries from the previous weeks will be eligible for the GRAND PRIZE…twelve fantasy novels, including two autographed copies…one from me. and another from an author friend of mine. And for anyone in the area of Tanger Outlet in Sevierville, Tennessee on Saturday, October 27th, 2018, I will be participating in a TEN AUTHOR book signing event from 11 a.m. until 4 p.m. at the Book Market Warehouse. They will be giving away a large basket of goodies, including autographed copies of books from the participating authors. I will also be giving away some swag goodies at my author table and will autograph any purchased copy of LUNADAR: Homeward Bound. Be sure to enter as many giveaways as you can, and keep checking back for more goody giveaways as the holidays roll in, including a tentative book signing at Barnes & Nobles in December!